kate spade new york brings elegance and a touch of whimsy to the everyday. Simply Sparkling is a series of glamorous giftables from kate spade that shine with glitter and metallic accents. Everyone needs a little sparkle in their lives! 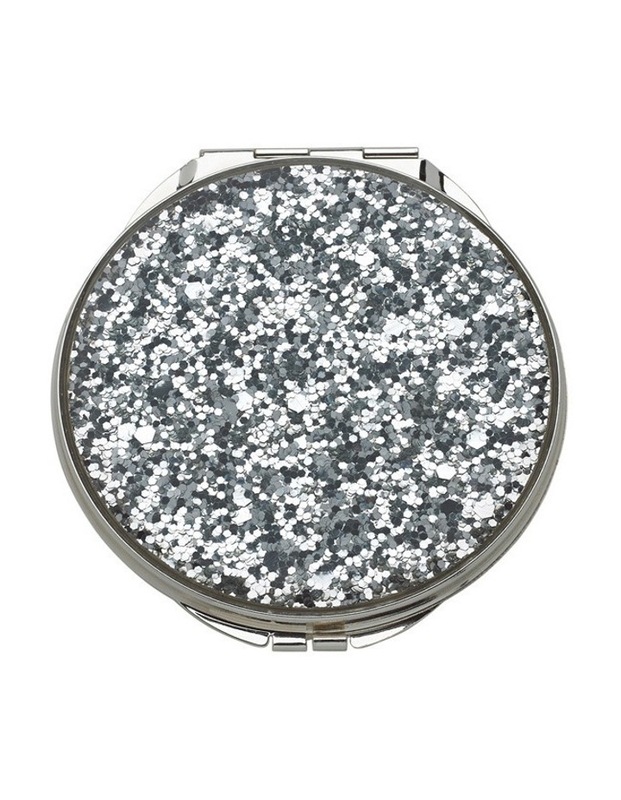 The collection includes this silver glitter compact mirror. Dimensions: Length: 9cm. Width: 5cm.